Stride frequency seems to be the most controversial and perplexing component of running mechanics. There are those that resist the theory of 180 spm being an ideal cadence and its the cause of many arguments. I however feel that most people that struggle with this approach have pieces of the puzzle missing. 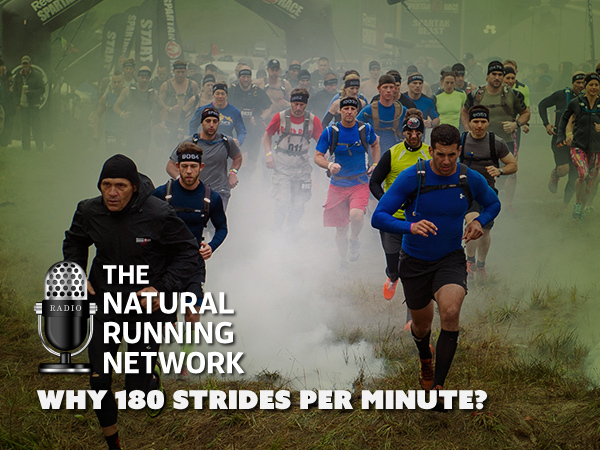 In this podcast Coach Richard Diaz attempts to shed some light on why he feels so strongly that finding this cadence is the key in correcting so many running related injuries. If you are participating in Spartan Races, Tough Mudder, Bone Frog or Savage Race, I think this podcast may provide some food for thought. So what is a you you could five to help me get from about 172 to 180. I try to take short strides but still end up averaging around 172-174. I love when Richard “pronouces” Zoe’s name. Never gets old. After checking out her Instagram account I can see why Richard chose her as the new guest host. Just hope he’s not podcasting only wearing a robe! As a Spartan racer, a lot of the mountain courses have unrunnable incline grades (especially for the Ultra distances). Should I train to keep a tempo pace when switching to hiking portion, even if it’s half the tempo? How would you train for those inclines to maximize efficiency?